I thought Savuti was an amazing place, with a stark beauty, animals crowded in the shade of big trees and large open grasslands. It may not be everybody’s cup of tea though. 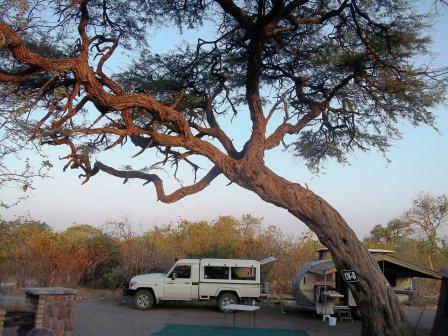 If you loved Central Kalahari, you will love it here. 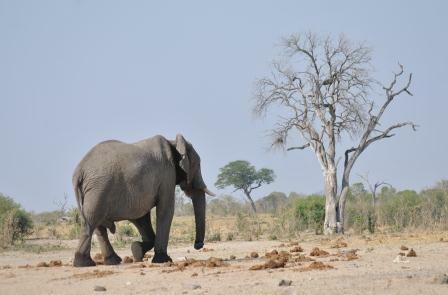 Savuti is situated in the south-west of Chobe National Park and can be reached from Maun and Kasane. The road in from Maun is far easier than its counterpart from Kasane – however it seems to be the norm for most people that go to Savuti to do the full trip either from Maun to Kasane or visa versa and including Moremi and the Chobe River. The campsite at Savuti is run by SKL group. We know them well as they have campsites at Khumaga and Khwai River, their good stands can be seen in Savuti as well. There are a number of large, shady campsites with a braai, preparation counter and a tap. One large, clean and well serviced ablution block caters for the whole camp. No supplies available – so be totally self sufficient. Spend as much time as possible in this area.